All Latin Adventures tours, river cruises, expedition cruises, and adventure trips. Find the best guided trips and expert planned vacation and holiday packages. 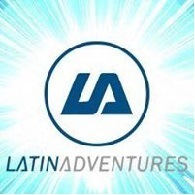 Average rating of 4.7 for all Latin Adventures trips. Extreme Physical Level High intensity hiking, trekking, mountain climbing, cycling. May experience dramatic changes in altitude. Extreme activities included.